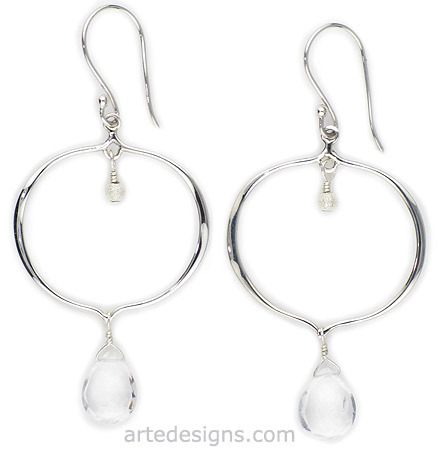 Icy white topaz gemstones sparkle and hang on unique sterling silver hoop earrings. These earrings go with everything and flatter every face shape. Approximately 2.50 inches long. Sterling silver wires.